Jarrod Lee Holloway (48) passed away Saturday April 13, 2019 as the result of a plane crash. He was born in Aurora, Illinois, on November 17, 1970, to Nell and Earl Holloway. He grew up in McKinney, Texas. He graduated from Freed-Hardeman University. Jarrod was a deacon at the Booneville Church of Christ, where he was actively involved with his church family, especially the youth. He went on missionary trips to Honduras; Guyana, South America; and Nicaragua. Early on, he worked construction for his father's company, where he even worked on Guantanamo Bay, Cuba. Jarrod was a self-employed business owner and a pilot. On September 1, 1995, Jarrod married Sonya Green Holloway, and their life became one big adventure since he loved to fly and travel. Jarrod was a jack of all trades: scuba diver, pilot, carpenter, electrician, Boy Scout leader, mechanic, machinist, ham radio operator, life guard, marksman and much more. He loved the outdoors and camping, mud riding and swimming his pond with his children and their friends, but his most favorite things to do were reading and eating. Jarrod loved his family and family get-togethers. He was a people person. Jarrod's favorite saying was "Things don't matter; people do." He spent much of his life with people, especially his lunch buddies, who shared his love for food and fellowship. Memorial services will be 4 pm Tuesday April 16, 2019, at Booneville Church of Christ with Ministers Greg Pollock and Jim Estes officiating. Visitation will be 1 pm until service time at 4 pm at the church. Jarrod is survived by his wife of 24 years, Sonya, his daughter, Sandra and son, Lewis of the home; his father, Earl Holloway; three brothers, Stuart Holloway (Marilyn), David Holloway (Kathy) and Kent Holloway, all of McKinney, TX; his sister-in-laws, Melanie Swinney (Todd) of Wheeler and Lawanna Cobb (Tory) of Booneville; his nieces and nephews, Steven, Emily and Michael Holloway; Carter, Cole and Levi Swinney; and Jackson and Brady Cobb. He is preceded in death by his mother, Nell Holloway. In lieu of flowers, memorials can be given to the Lewis and Sandra Holloway Education Fund to support his children's college educations. An account has been set up at the First American National Bank. Condolences to the family may be made online at www.keslerfuneralhome.com. NEW ALBANY, Mississippi • In Northeast Mississippi and Northwest Alabama, families and friends are making plans to celebrate the lives of three people lost in a Saturday afternoon plane crash in Union County. A memorial service for co-pilot Jarrod Holloway is planned for Tuesday at Booneville Church of Christ. 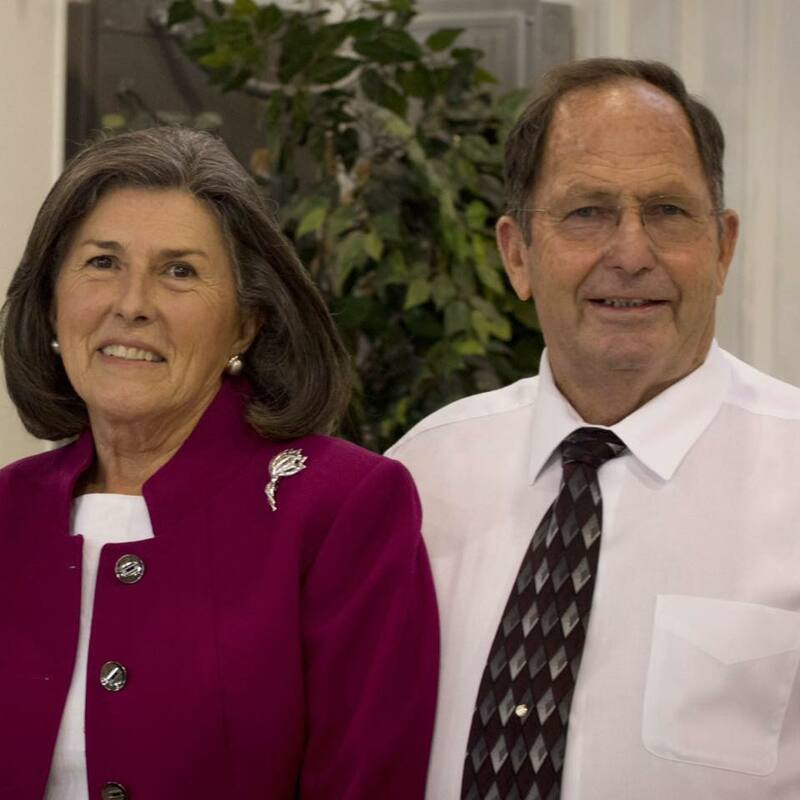 The memorial service for pilot Tommy Nix and wife Merline Nix is set for Wednesday at Piney Grove Freewill Baptist Church outside of Guin, Alabama. “They’re just good people,” said David Deaton, a Nix family friend who learned to fly from Tommy Nix 20 years ago. Tommy Nix, 70, was well respected as a pilot and an airplane mechanic, Deaton said. Merline Nix, 69, was gracious and kind. The Nix family has roots in Belmont. 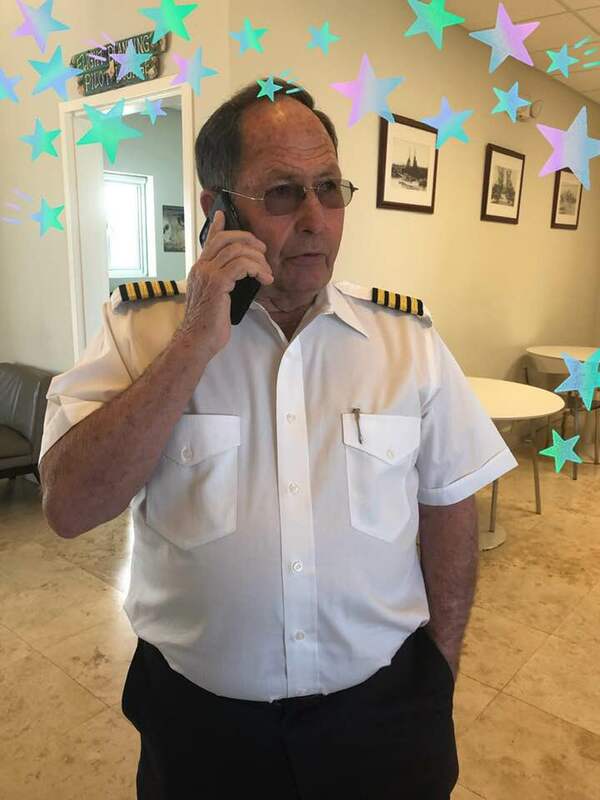 Tommy Nix served as Tishomingo County Airport manager for years, and his son Terry Nix currently serves as the airport manager. In recent years, the Nixes had operated their aviation service from Marion County-Rankin Fite Airport in Hamilton, Alabama. Visitation for Tommy and Merline Nix is set for 1 to 4 p.m. Wednesday, immediately followed by a memorial service at Piney Grove Freewill Baptist Church in Beaverton, Alabama. The family is asking for donations for the church in lieu of flowers. A memorial service for co-pilot Jarrod Holloway will be held at Booneville Church of Christ at 4 p.m Tuesday. Holloway’s family is focusing on celebrating Holloway’s life and has asked friends to share their favorite stories about him. Visitation will be from 1 to 4 p.m. at the church. Tommy Nix and Holloway flew the Rockwell Sabreliner 65 aircraft, a mid-size business jet, from Colorado to Oxford on Saturday carrying high-profile former lawyer Dickie Scruggs and his family. Scruggs told the Clarion Ledger he and his family had flown frequently with Holloway and that both pilots were extremely professional. The Nixes and Holloway had left Oxford en route to Hamilton when the crash occurred between 4:30 and 5 p.m. Saturday. On Monday, NTSB and FAA investigators were at the crash site near the New Harmony community in southeastern Union County, said Curt Clayton, Union County emergency management director. Coroner Pam Bowman said remains have been recovered from the crash site. The debris is spread out over about ¼ of a mile, Clayton said. The FAA investigation was largely complete at the end of the day Monday. The NTSB will continue its work. Debris clean up is expected to begin this afternoon or Wednesday. Three people died Saturday night after their plane crashed near Oxford. Federal Aviation Administration spokesman Rick Breitenfeldt told The Associated Press that the twin-engine jet crashed about 10:30 p.m. Saturday. Severe storms were sweeping through Mississippi at the time, but Breitenfeldt said it was not immediately clear if weather was a factor in the crash. 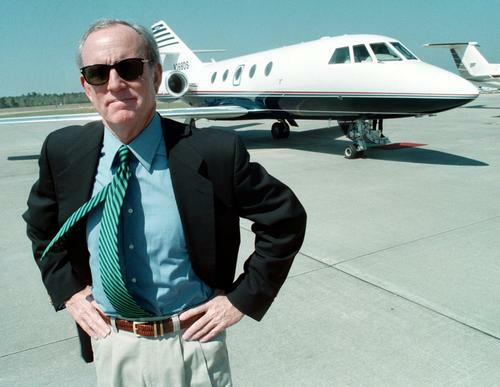 Pascagoula, Mississippi, attorney Richard "Dickie" Scruggs and his private jet are shown in this file photo. UNION COUNTY, Mississippi (WLBT) - Three people have died after a small commercial plane crashed in north Mississippi. A North American Sabreliner en route to Hamilton, Alabama from Oxford was met with disaster on Saturday. Union County sheriff Jimmy Edwards confirmed there were no survivors in the crash. The 10-passenger plane, carrying aboard pilot Tommy Nix and his wife Merline Nix of Belmont and co-pilot Jarrod Holloway of Booneville, was discovered during late-night storms. “We received a call from the control tower in Memphis that had seen it go off the radar,” Edwards said. According to Union County EMA director Curt Clayton, trouble started on the flight almost immediately after takeoff. “From what we’ve gathered in our investigation while trying to locate the aircraft, 10 or 15 minutes after this aircraft took off, they were supposed to fly into the 10,000-foot range. Air traffic control noticed they climbed to 11,000-feet so they radioed the aircraft and made contact,” Clayton said. Nix cited electrical difficulties in the cabin that they were trying to correct when the plane left Memphis’ radar. Moments later, air traffic control lost radio contact. “(Memphis) gave us GPS coordinates of their last known location and we did some plotting on some maps. We had three spots we identified where the plane could have gone down, two in our county and one in Pontotoc County,” Clayton said. The plane crashed in a wooded area off County Road 120 in the southeast region of Union County, near the Pontotoc County line somewhere between 4:30 and 5 p.m. But area storms made locating the crash site all the more difficult. Sheriff Edwards noted that the Federal Aviation Administration were onsite as of Sunday afternoon and the National Transportation Safety Board will be joining the investigation. “They’re going to come in and lead the investigation into what caused the aircraft to come down,” Edwards said. Haven't seen an operating Sabreliner in years. Listening to atc recording they were clearing having issues with heading and altitude, no xtrpdr read out, finally he told atc they had a AC electrical issue, so there goes the adi indicators, which are ac so inverter failure or such. Seeing a pic online of the panel I do not see any peanut stby instruments, also searching pilots name several part 134 1/2 issues come up, sounds like maybe a sketchy operation maybe, and old junk, probably pooorly maintained. All part 25 aircraft have a standby gyro, compass, and airspeed. The standby battery if properly maintained is required to supply a minimum of 30 minutes of power to the gyro and a few lights. The 65 is a great plane but good maintenance is a must. Yeah ik that but I don’t c it in this photo online when it was for sale, has a garmin stack in center and no b/u stby horizon, only c stby altimeter. In 2000 Nix's commercial pilot certificate was suspended 120 days for violations of FAR Parts 119 and 135. In 2007 Nix successfully appealed another attempt by the FAA to suspend his license, again for Part 119 and 135 violations. Look at just about any other pic of a Sabreliner (doesn't even matter what model), and you'll see a standby ADI over the center stack, or in the pilot's panel right where this plane had a standby altimeter, which is not a normal thing to see in a Sabreliner cockpit....odd! Unfortunately I have flown with these type of pilots. What I learned quickly is that they have good airmanship skills yet they don't have very attentive crew resource management skills. Typically the right seat guy manages the radios and navigation maybe pulls the gear. This type of operation operate aircraft that are 30 to 40 years on the airframe let alone the frayed and brittle wiring throughout the airplane. It was evident that they teeter on the edge of safety and maintenance. From what I was told they refer to this pilot as the junkyard dog. RIP to all involved.